Rango was released in cinemas yesterday and to celebrate this the nice people over at Way To Blue sent me this feature about westerns and anti-heroes. That got me thinking of who is missing from the list as they have mentioned Batman, James Bond, Wonder Woman, Shrek, and Indiana Jones. I'm not sure Wonder Woman or Indy are anti-heroes. 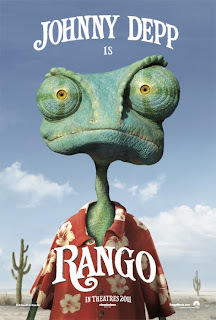 The film, Rango, is also a western - I know people keep saying that "the western is dead" but they said that when Dances With Wolves came out but that film brought the genre back for a short while with a slew of other big budget westerns. Even over the last 10 years a western I can think of a couple like 3:10 to Yuma, The Alamo, The Assassination of Jesse James by the Coward Robert Ford and Open Range. Some did quite well like 3:10 to Yuma and others crashed without a trace like The Alamo - This one becomming the 2nd biggest "box office bombs" of all time behind Cutthroat Island. Getting back to the Anti-hero and westerns. The thing is that you can't rearly have one without the other. Look at the Spaghetti westerns with Clint Eastwood or Dirty Harry, played again by Eastwood - there maybe a theme here! Then you get Pulp Fiction, Sam Spade and the rest of the detective from detective noir films. Then you have the anti-hero from Japan with The Seven Samura and Yojimbo from Akira Kurosawa (These have been remade by Hollywood as films like The Magnificent Seven and A Fistful of Dollars). Enough of me so I let you read the below feature and please leave comments about who should be added, or removed, from the list. Throughout history film makers and writers have portrayed the classic story of a hero as a fearless protagonist with good looks and a dash of wit. Our hero is an audacious champion that conquerors the “bad guy,” wins the approval of those around them, and achieves what the ordinary cannot. Stories of tragedy, love, courage and strength are typical themes that challenge the hero to rise above. Classic heroes are embodied in film characters we look up to and envy such as Batman, James Bond, Wonder Woman, and Indiana Jones. What happens when the hero of a film is a stubborn, alcohol induced one-eyed U.S marshal (Rooster Cogburn in True Grit) or a green ogre who evokes fear in those around him (Shrek)? You have two of the greatest anti-heroes in film. An anti-hero can be described as a character that may be flawed with insecurity, egoism or self- indulgence. They lack the qualities we would naturally associate with heroism, possibly because their characteristics are more easily associated with those of ordinary people. Just like our common heroes, there are variations of the anti-hero. They can range from those listed above to Carl from UP, Captain Jack Sparrow from Pirates of the Caribbean and Scott Pilgrim in Scott Pilgrim vs. the World. These characters may have a similar story line of a classic hero (fight the bad guy, save the princess, help a town) but their journey and appearance are unconventional, as they do not see themselves as a hero. In the movie Rango starring Johnny Depp, we are introduced to a pet chameleon that daydreams about a heroic life outside of his glass tank. After venturing outside of the only home he has ever known, he appoints himself sheriff of a western town Dirt. Throughout his journey he meets interesting characters and finds himself in more trouble than he could have ever imagined inside the glass terrarium. The movie uses the themes classically seen in Westerns (think of the popular quotes “this town ain’t big enough for the both of us” as well as “there’s a new sheriff in town”) to support this genre. Western heroes are often masculine enforcement officers that fight outlaws with the physical strength and skills unparalleled to the everyday townsperson. 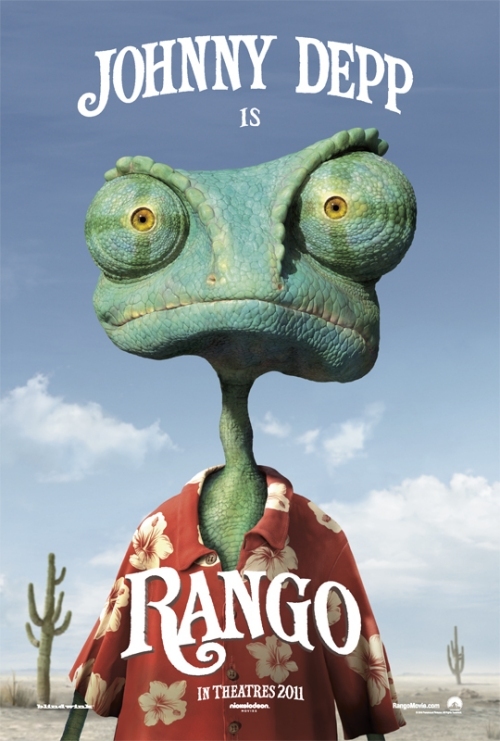 Rango initially defies this stereotype, appearing in a bright red Hawaiian shirt hanging over his slim body and fabricates a lie in order to hang with a crowd of creatures at the local saloon. His journey may seem familiar with a possible love interest and outlaws to fight off, but his quirky attitude and unexpected confidence in the face of danger are relatable and help examine our own flaws and insecurities. These characteristics allow us to reject the idealistic standards many heroes possess, and accept those of anti-heroism.